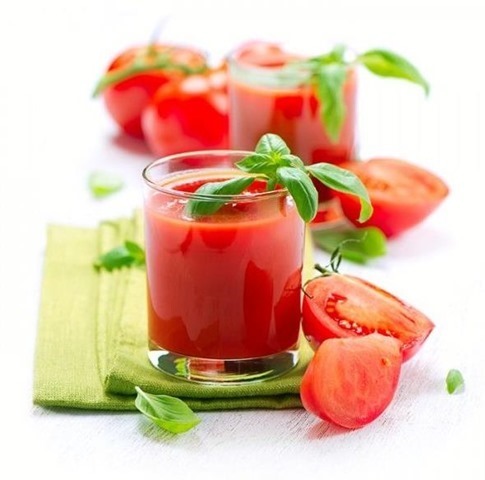 Discover how to prepare a delicious juice of tomato, celery, basil and garlic ideal for summer for its refreshing qualities and nutritional benefits. When the traditional summer arrives and usually the hottest days of the year also arrive, something that is combined with spending more free time sunbathing on the beach or in the pool, and also enjoy those long-awaited vacations. Therefore, it is always appropriate to hydrate well not only externally but also internally, opting for natural and fresh foods that are especially rich in water and essential nutrients (such as antioxidants, vitamins, and minerals). An excellent option is to enjoy natural juices, either fruit or vegetables, as they become rehydrating drinks full of benefits and properties, ideal not only for the summer months but practically for any time of the year and especially within a varied, healthy and balanced diet. Yes, it is true that, when it is very hot, we can choose certain juices with great refreshing action, which in addition to serving cold possess in themselves the ability to rehydrate our body and freshen up naturally and internally. 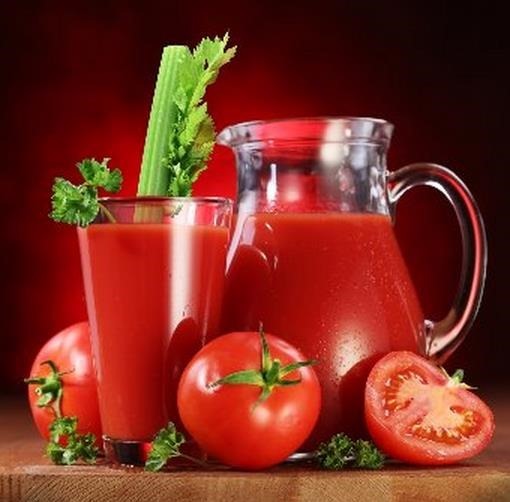 In this sense, if you like tomatoes, basil, celery, and garlic we propose you to combine all these wonderful ingredients in a delicious Mediterranean juice, ideal for the hottest days due to its refreshing qualities. Do you dare to prepare it? We could say that we have a juice that combines almost perfectly some of the leading foods of the well-known Mediterranean Diet since we have the presence of tomato, celery, basil and garlic, all of them indispensable natural products. of this type of diet and, in short, any other diet that is varied, healthy and balanced. In regard to its most important qualities, we find that tomatoes are tremendously rich in lycopene, a natural antioxidant that protects against prostate cancer. In addition, it provides other enzymes that help in the care of the kidneys. Celery is a delicious food that helps eliminate the accumulated fat in our body, while acting as a powerful diuretic and purifying, hence it is also very useful when it comes to detoxifying, caring and cleaning the kidneys. Garlic is also another powerful food, with a recognized action to strengthen our immune system, while acting as a natural anticancer and helps to lose weight in a completely natural way. To finish we find the basil, whose leaves are very rich in iron. In addition, it increases the energy in a completely natural way and gives this juice that wonderful sweet touch. Vitamins: vitamins of group B (B1, B2, B3, B5, B6 and B9 or folic acid), C, E and K.
Minerals: calcium, chromium, copper, iron, magnesium, phosphorus, potassium and selenium. First wash the tomatoes, celery, and basil well. Remove the top of the tomatoes and cut them into slices. Peel the cloves of garlic and cut them into small pieces. Cut the celery into small pieces. Finally, wrap the pieces of tomato, celery, and garlic with the basil leaves and pass all the ingredients in the blender. Ready! Remove the drink and drink immediately. It is advisable to serve very cold. If you wish, you can sweeten this drink, although it is advisable to drink it naturally, without sweetening it.